A pink flowering offspring of the parent Clematis ‘Konigskind’ “Climador” tm. This newly selected Clematis is unique in the ability to flower from early Summer to Fall. 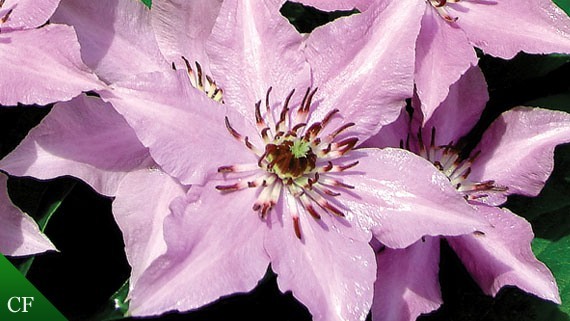 The pink petals and outstanding anthers provide an on going show, with new buds forming through-out the flowering period, so it blooms again and again. The full mature height does not exceed 6 ft., so this cultivar is ideal for container growing. Please contact Dan Webber at 407-884-4559 for availability information.